Welcome to Sorrento in October. Yes, this is the time, after celebrations of Francesco d'Assisi on October 4, that the Coast is slowly preparing for the winter season - and even Christmas time - which is round the corner. But for now, enjoy beautifully sunny days on end, and enjoy fruit now coming into season: lemons, oranges, and so much more. Also freshly harvested chili and herbs bringing summer scents into the kitchen. 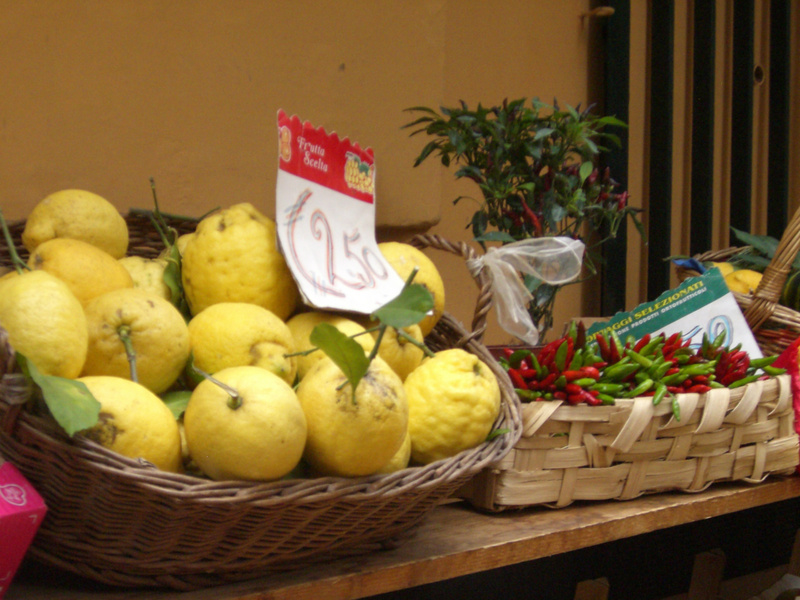 Here is a picture of fresh fruit from Sorrento's Via San Cesareo where food stalls are lined up all year long in front of the tiny grocery stores.